Skills are a language for learning. 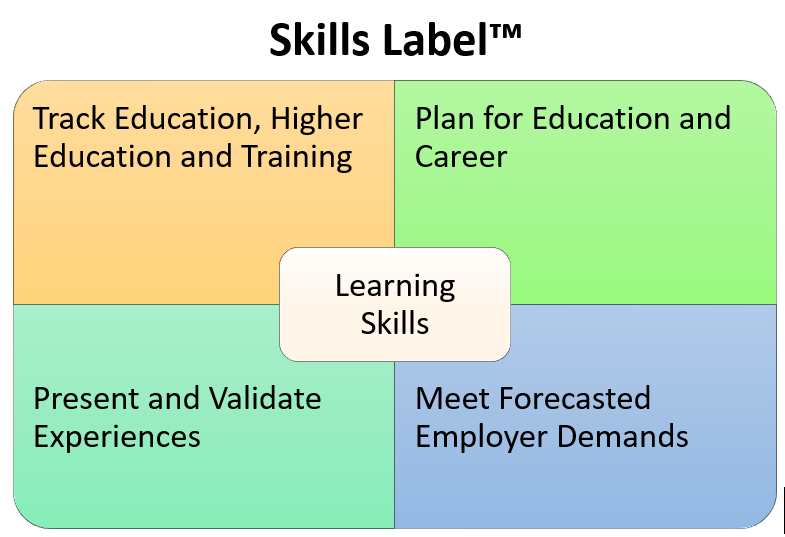 We talk about skills: in education and higher education (though I think we should be doing it much more), as we think about career planning, to summarize professional experiences, and in employers’ forecasts of future demand. (This week) LinkedIn came out with a publication saying: “members can add over 50,000 skills to their profiles…”. Skills have a focal point on a profile, where connections can endorse each skill. One new useful feature with skills is, as you apply to a job, the system immediately calculates and make suggestions on how your skill set stacks up to other applicants. O-Net has built a comprehensive database for education and career planning where skills have a significant role. What is great about the platform is all the context; in fact, it feeds a countless number of applications across the US as it is free to access and use. Monster has a prominent place on their online resume for skills. Employers use a search mechanism called Power Resume®, which uses various semantics (including a skill set) to derive a ranked list of candidates with links to their resume. Common Core is largely based on applying standards to foundational skills, like mathematics, reading comprehension, written communication, science, etc. I know because I have built the standards seamlessly into the administrative and user interface of Skills Label. There is little to no argument of the definition of a skill, whether you are viewing it in LinkedIn, O-Net, a personal website or resume, or a publication of top in demand skills. I think we should define learning in skills and their competencies, underlying methods and applications, and standards. This is precisely what Skills Label does. Previous Previous post: Are you happy with the decisions you made regarding post secondary education?